GamePop's $6.99 per month subscription provides users with access to a library featuring more than 500 titles, and will seemingly include games designed for both Android and iOS. 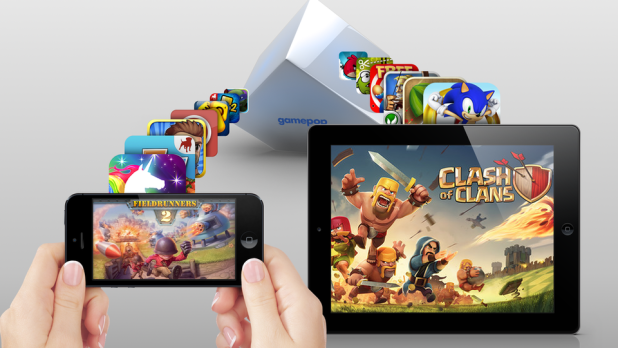 Boy Genius Report explains that BlueStacks plans on using a "virtualization tool" known as "Looking Glass" to allow iOS games to be played through TV sets. It's hoped that GamePop will be ready for a winter release, and potential customers currently have the option of preordering the console online for $129. We'll keep you updated with further information on the forthcoming console as we receive it. In the meantime, see: Amount 2.0 Features A Good Amount Of Improvement To Make Unit Conversions Easier, Advertising Guru Lee Clow Talks Apple, Steve Jobs And More, and Forget September: Apple's iPhone 5S Set For October Launch, Report Suggests.